Pre-Employment Psychological Evaluation of Police, Corrections, Fire, EMS, Security, Pilots and other High Risk and Safety Sensitive Positions. For more information, please click below button. Promotional Evaluations (and rankings if desired) of serving personnel including all superior ranks. This process involves a modified assessment center approach including video-taped exercises, extensive testing and focused, structured interviews which address the issues most relevant to the role the candidate is seeking. Fitness for Duty Evaluations of serving personnel with recommendations for disposition, assessments of dangerousness and specific suggestions for treatment, if appropriate. This includes assessments of public safety personnel and other public sector employees. Critical Incident Debriefings of serving public safety personnel. Licensing of the IFP system to public safety agencies having their own in-house psychological staff. This normally includes the provision of training and ongoing consultation to client agencies to assure the most effective use of the overall system. Beyond certain standard tests, proprietary instruments, specialized interviewing formats, job-related judgment exercises and other assessment tools are provided. For further information please contact us. The Institute for Forensic Psychology (IFP) provides expert psychological evaluation for police and public safety agencies. Specialized assessment protocols administered by our highly experienced staff have been used to evaluate more than 70,000 people from over 700 client agencies since IFP was founded in 1972. IFP staff make clear and defensible recommendations based on detailed assessments and professional standards. 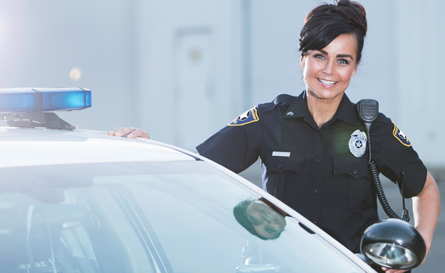 All of IFP’s psychologists are licensed and specialize in police and public safety work. Our evaluation services include pre-employment psychological evaluations of police and other public safety candidates, as well as fitness for duty evaluations of incumbent public safety personnel, health care providers, teachers and other positions involving potential risk to public safety. In addition, we conduct evaluations for promotion and critical incident debriefings. Lastly, we provide expert consultation and training to police and public safety agencies. We are psychologists for public safety and psychological risk management consultants. 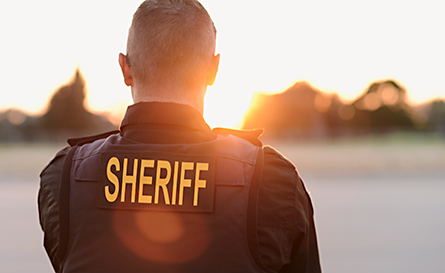 We serve law enforcement, public safety, and emergency services agencies by (a) ensuring the psychological suitability of new hire candidates, (b) assessing the psychological fitness of uniform and civilian employees, and (c) identifying outstanding candidates for promotion. We strive to be the premier provider of highly specialized psychological services to police and public safety agencies in New Jersey and New York.